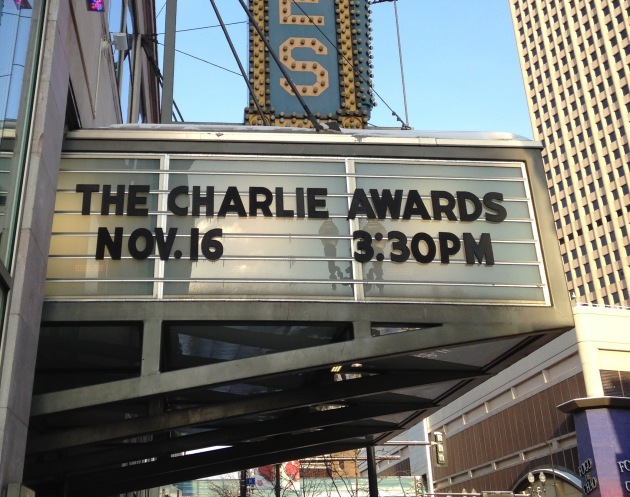 Winners of the fourth-annual Charlie Awards were announced Sunday afternoon at the Pantages Theatre in Minneapolis. The awards celebrate excellence in the Twin Cities' food and drink scene. Newcomer Brasserie Zentral – from Meritage owners Russell and Desta Klein – was named Outstanding Restaurant. Outstanding Chef honors went to Alex Roberts of Restaurant Alma and Brasa. Thomas Boemer, chef/co-owner of Corner Table, was handed the award for Emerging Food Professional, which salutes chefs with less than five years experience. The restaurant, which moved to a new home earlier this year, was also handed the Outstanding Service award. Restaurateur Kim Bartmann was the recipient of the Lifetime Achievement award. The award caps a busy year for Bartmann. Since January, the owner of Bryant-Lake Bowl, Barbette, Red Stag Supperclub, Gigi’s Cafe, Pat’s Tap and Bread & Pickle, launched two restaurants – Tiny Diner and the Third Bird – and had a hand in the birth of a third, Kyatchi. The award for Outstanding Pastry Chef went to John Kraus of Patisserie 46. Vincent Francoual, chef/owner of Vincent, was named the year’s Community Hero. Jesse Held of Borough, Parlour and Coup d’etat was named Outstanding Bartender. Coup d’etat also came up a winner in the Outstanding Restaurant Design category. The Uptown restaurant, which opened in January, was designed by ESG Architects of Minneapolis. Butcher & the Boar won Outstanding Beverage Program Honors, the West Side IPA from Harriet Brewing was awarded Outstanding Local Craft Brew. Two awards were determined by an open-to-the-public online poll (one that garnered 10,000 votes). The Moral Omnivore was named Outstanding Food Truck. The online poll also selected nominees for Outstanding Food Item, and a panel of expert judges chose the winner from six finalists. That award went to the St. Paul Grill and its the "Grill Charlie’s,” a beef tenderloin sandwich with caramelized onions and horseradish mayonnaise. Winners are selected from a voting pool of 175 independently owned Twin Cities food-and-drink establishments. The awards are organized by Ivey Awards founder Scott Mayer and longtime Twin Cities food advocate Sue Zelickson, and are named for Charlie’s Cafe Exceptionale (pictured, above, in a 1960 Star Tribune file photo), the fabled downtown Minneapolis restaurant that closed on July 21, 1982, after a 49-year run.